Nadim Bashir is an B-List Specialist Regulatory Advocate. Nadim sits as an Assistant Coroner at the Coroners Court at South Central Wales and continues to provide representation at inquests and pre inquest reviews, particularly in relation to inquests involving members of HM Armed forces. As a Lieutenant Colonel in the Army Reserve, Nadim is also a prosecuting officer for the Service Prosecuting Authority (SPA), where he will prosecute members of any of the British Armed Forces (British Army, Royal Air Force or Royal Navy), anywhere in the world and has been doing so continuously for the last 20 years with prosecutions being conducted in N. Ireland, Germany, Cyprus and as far afield as Brunei. He also enjoys a healthy defence Court Martial practice. Nadim also holds the post of Legal Advisor for the UK Reserve Forces Association which promotes the efficiency of the UK Reserve Forces by providing opportunities for education, personal development and international experience. This is achieved by sharing ideas and good practise through formal channels with UK Reserve Forces in the NATO alliance. It also works with the MOD. Together with other NATO member countries, UKRFA sit on the executive council of the Inter-Allied Confederation of Reserve Officers (CIOR) and Inter-Allied Confederation of Reserve Medical Officers (CIOMR), and thus involves participating in an international arena in representing the interests of the UK Reserve Forces to the NATO alliance. Nadim also undertakes a range of Police work on behalf of the Chief Constable, specialising in firearms/shotgun appeals under the Firearms Act 1968, Cash Detention Orders and Forfeiture Proceedings under POCA 2002 and the delivery of seminars in respect of SHPO’s under the SOA 2003 as amended. Craven Council v Billy Bob’s Ice-Cream Parlour – HSE investigation which was taken over and prosecuted by Craven Council involving offences contrary to Section 3 and 4 of the HSWA 1974 and RIDDOR Regulations involving 5 Defendants (2 companies and 3 individuals) in respect of the provision of an unsupervised children’s play barn on the site of their ice-cream factory where a large number of serious injuries followed due to the inadequacy of the play equipment provided. R v Smith, Lloyd & Lewis – Health & Safety – Gross Negligent Manslaughter prosecution with Negligent Performing a Duty under military law charged in the alternative. The core allegation centred around 3 Defendants who were part of a 5-man team in the Bio Washdown Facility in Camp Bastion, Afghanistan where they had adopted an unsafe system of work causing the death of one of their number when a bucket slid off a raised set of forks on an earth moving machine instantly killing their colleague. Issues involving Combat Immunity were raised and responded to but were never fully argued given that guilty pleas were entered. R v Price, Bell & Pankhurst – Health & Safety Gross Negligent Manslaughter case with Negligent Performing a Duty under military law. The case concerned the setting up of 2 adjacent live firing ranges by a Junior Officer but where the participants of the first range were firing in the direction of the adjacent range causing a soldier to be killed on the adjacent range. MHRA -V- David Pearson, Alla Pearson (Operation Upana) – Medicines & Healthcare Products Regulatory Agency prosecution – case concerned the distributing of medical products without a wholesale dealers license Reg 18(1)(a) and 34 (1) Human Medicines Regulations 2012. Nadim lectures and trains police services across the country on a broad range of subjects, with a specialism in child protection and specifically the prevention and control of paedophilia (as previously delivered to CEOP). Nadim Bashir is a grade-4 prosecutor who sits on CPS panels for fraud, confiscation and serious organised crime. As a Lieutenant Colonel in the Army Reserve, Nadim is also a prosecuting officer for the Service Prosecuting Authority (SPA), where he will prosecute members of any of the British Armed Forces (British Army, Royal Air Force or Royal Navy), anywhere in the world. Nadim has also accepted a post within the Ministry of Defence known as the Legal Representative to the UK Reserve Forces Association. This involves promoting the efficiency of the UK Reserve Forces; both in the UK and within the NATO Alliance context and thus involves participating in an international arena with the “Confederation International des Officiers de la Reserve” by delivering an annual programme of activities in member states across the world. R v Ali and Others (2005) EWCA Crim 87 – Representing the defendant in a conspiracy involving a money-laundering trial involving £170 million pounds. The Times Newspapers Ltd & The Guardian News and Media Ltd v Regina and Soldiers A, B, C, D, E and F (24 Oct 2008) CMAC – Acting for the Crown in proceedings where the appellant newspaper publishers appealed against an order of the judge of the Court Martial that proceedings brought against 6 soldiers should be held in camera. “I am writing to you in relation to a recently successful outcome at Leeds Crown Court, R v John Arthur Brown, investigated by my department under Operation Gatwick. This was a money-laundering case involving 15 charges based on the payments of a previous confiscation order. “I would like to bring to your attention the professionalism and good judgment displayed by the prosecuting barrister Mr Nadeem Bashir. Mr Bashir was unfortunate to have the case allocated to him with only a few days remaining prior to the start of the trial and with no previous knowledge of the case. He was quick to familiarise himself with the case and identified evidential gaps which the defendant could have successfully exploited to avoid convictions on certain charges. I agreed with Mr Bashir’s assessment of the case and authorised additional evidence to be obtained to avoid this situation. Mr Bashir’s guidance resulted in guilty pleas to all charges. Mr Brown had previously offered guilty pleas to only certain counts on the indictment. – Money Laundering Team (Crime Division), January 2011. “Major Bashir is a thoroughly professional, highly respected and extremely capable officer. He delivers a potent combination of legal acumen, energy and dedication to duty which identifies him as a role model for his colleagues. He brings a wealth of experience and knowledge to his role within the Service Prosecuting Authority and is relied on time and again to handle cases of real seriousness and sensitivity. He performs most impressively within court, where he receives praise from the judiciary for his expert presentation of difficult cases and sound decision making. His polished advocacy is built on firm foundations of immaculate preparation. “Major Bashir also makes a particularly valuable contribution to the training of prosecutors. His delivery style has authority and shows a real understanding of his subject. He is particularly generous with the time he devotes to assisting and guiding his colleagues, both subordinate and senior, in the conduct of casework. Nadim delivers in-house training on civil law updates, drafting litigation skills and civil advocacy. 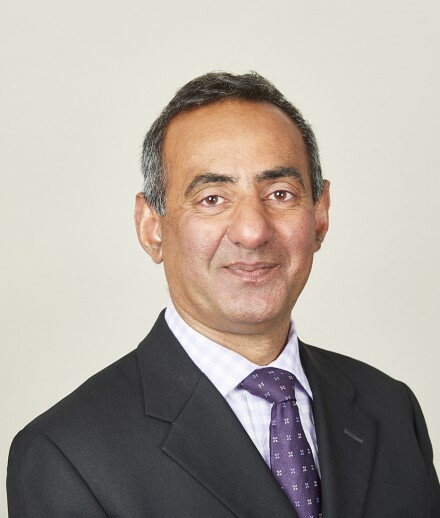 Nadim Bashir has a particular interest in claimant and defendant road traffic accidents involving allegations of fraud and personal injury, vehicle damage and credit hire. These include allegations that an accident may have been staged or contrived, or involve bogus passenger allegations, exaggerated damage or a low-velocity impact. Sardar & Others v Akhtar & Others – 1 October 2014 at Sheffield County Court (multi-track trial) before a senior circuit judge who, in the course of his summing-up, said: “I pay tribute to Mr Bashir for the way he navigated a course through the evidence, acknowledging his duty to the courts and to all his lay clients with consummate skill experience as one would expect”. We are pleased to announce that Nadim Bashir has been appointed as an Assistant Coroner.